This activity is from one of my lesson plans for the current college semester. 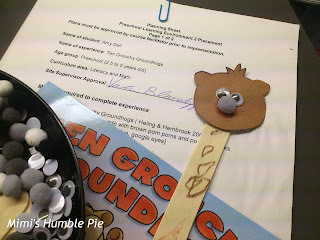 With a few simple craft materials I made puppets with my preschoolers to accompany "10 Grouchy Groundhogs" during story time today. 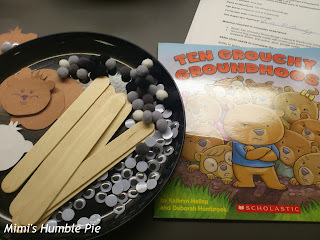 To encourage symbolic thinking as we create "groundhogs" to accompany our story. To give relevant opportunities to use simple math and subtraction as we count backwards from ten to one. 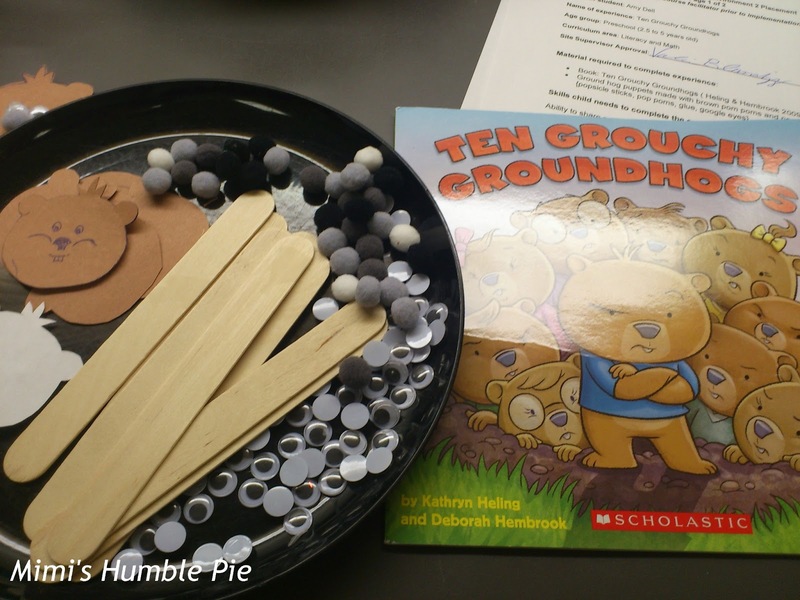 Promote early literacy and comprehension while listening to a story and responding at appropriate points in the plot.